Feb. 25, 2011 – The Golden City Council voted unanimously last night (Thursday, Feb. 24) to continue working on a possible agreement with Jefferson County regarding the proposed Jefferson Parkway. However, the City Council determined that Golden will not drop its opposition to the Jefferson Parkway or give up its right to sue to stop it unless some very specific requirements are met. This decision was made after public comment that lasted three hours in an overflowing Council Chambers. Golden residents and business owners and many citizens from areas outside of Golden took sides in a debate about whether to continue negotiations or just go ahead and file a lawsuit to stop the Jefferson Parkway. Despite the passionate feelings on both sides of the issue, the crowd was calm, respectful, courteous and even funny at times. 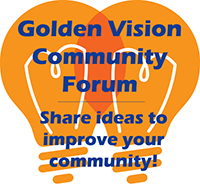 “It is a testament to the residents of Golden that they can have differing opinions and still portray a unified community willing to do what it takes to protect Golden,” said Golden Mayor Jacob Smith. The City also recently held a series of four community meetings on this topic and created a website (www.GetTheFactsGolden.org) specifically addressing this issue. 470 people attended the community meetings and hundreds submitted written comments at the meetings and through email, while the website registered nearly one-thousand unique visitors. At about 11 p.m., the Golden City Council approved a motion to continue negotiations towards a binding Inter-Governmental Agreement (IGA) with Jefferson County, the Colorado Department of Transportation (CDOT), Broomfield, Arvada and the Jefferson Parkway Public Highway Authority (JPPHA) relating to the Jefferson Parkway.